Databases are core of everything we can find on the web. If you interview for a job of a web developer, or for a software engineer, you can expect to deal with some questions that relate to SQL server. Keep in mind though, that for any of these jobs, technical questions form just a small part of the interview process. You will have to deal also with personal and behavioral interview questions, and often with an IQ or personality test (a standard procedure in big corporations, regardless of the position they are hiring for). In this article, however, we will focus on the technical questions related to SQL server. Can you name the main difference between Drop statement, Delete statement and Truncate statement? What is the difference between primary key and unique key in SQL Server, and when do we use each one? Can you explain DML, DDL, DCL and TCL statements? Give examples to each of them. What is the main purpose of query optimizer in SQL Server? What is the significance of an Index on the column used in the GROUP BY clause? Speaking about unique column in table, what is the role of an Index? Can you create foreign key constraints on temporary tables? What is the difference between Index scan and seek? There are 3 different types of joins available in SQL server. Can you name them? Some companies prefer an alternative way of interviewing people for IT jobs. They will describe a problem (or outline a task, for example troubleshooting a broken database), they will give you a computer, fifteen or thirty minutes of time, and they will watch you working on the task, while you try to address the problem. When the time runs out, they will ask you tell them what you did, how you progressed while solving the problem. The results of your work, and the way you talk about it, is a great indicator of your technical skills, your communication skills, and also your readiness for the job. Needless to say, you can hardly prepare for this particular test in advance. Either you know your job, or you don’t, and will fail in the test. But you can definitely prepare for the interview questions, especially for personal and behavioral questions, questions that repeat in most interview. 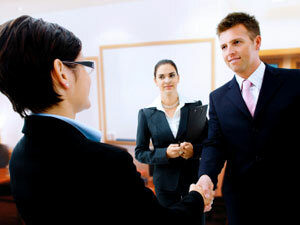 Continue preparing for the big day with the help of InterviewPenguin.com – your best job interview coach. IT interview questions for different jobs and programming languages – PHP, SQL, C, Java – technical questions, and sometimes also answers to the, for a variety of languages and technical jobs. Get ready for your interview. Behavioral interview questions – Conflicts with colleagues, motivation on the workplace, attitude to different problems–all of that matters for the interviewers, even when you apply for a highly -technical job. Learn how to answer the most difficult behavioral questions, and make the most out of your interview. Work portfolio for an interview – Learn how to prepare a selection of your best works, and how to use it to show the interviewers the value you can bring to their team. Portfolio is especially useful for people who apply for technical jobs.